Tiptoeing into an environment that offers the invitation to live with an Open Heart, I start my first “official” days as the Karma Yoga /HR Manager at the Hridaya Yoga Center. Here, you don’t “work.” Here, you serve! It is Karma Yoga—the genuine practice of selfless service (seva) in which you offer the fruits of your actions (as well as your entire being) to the Spiritual Heart, which is experienced as Pure Existence-Pure Awareness-Pure Bliss. You surrender the personality and it’s limitations for the benefit of all beings. Karma Yoga is a path in itself. It is a journey that is an expression of Love. It’s the aspiration to make the world a better place by enriching the lives of all beings with whom you come in contact. Karma Yoga is yoga in action and offers the opportunity to integrate the expansive and heart-opening experiences of the yoga mat and meditation cushion into daily life. Sharing the gift of being present in all you do is a profound path to the revelation of the Spiritual Heart—you lose your limitations and reveal your True Self through selfless service. 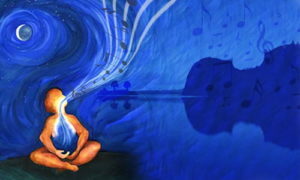 Karma Yoga is an excellent way to integrate meditation into daily life via the practice of love awareness. In every moment, you build momentum to awaken to the truth of who you really are, to awaken to Love. Contemplating these questions while actively participating in life—against the background of openness and love that is always present in every experience—is how the integration of meditation into daily life happens and becomes utterly alive. Karma Yoga is an act of selflessness. It is showing up for life, standing with your heart in your hands, and compassionately reaching out to others. It’s about being available to life as it presents itself to you—without any resistance or need to control. It is a constant practice of learning when you act from desire or for personal gain and holding those motivations in an open space of compassion so they no longer drive you. Selfless service actually becomes freedom of choice. In the complete openness of being human—with all your needs, desires, and pure intentions—you learn to transcend limitations and offer genuine, loving care for not only yourself, but for all of humanity, all of life. Karma Yoga is about being present and holding space for what is alive without any expectations about outcomes or attachments to an action’s fruits. True selfless service is completely falling in love with everyone and everything. You are willing to give your very best so that everyone opens their hearts and awakens to the Truth of existence. It is naturalness, effortlessness. It’s a genuine act of availability, of being in the flow and surrendered to the inspiration that expresses itself through you. This is the true spirit of Karma Yoga! “The Beloved has no body now on Earth but mine. The Beloved has no feet on Earth but mine. Beloved streams compassion to the world. Karma Yoga is not a sacrifice, as some people sometimes feel. There is only sacrifice when a personal drive or intention is involved. For example, you might think: “I am always available for everyone. What I need doesn’t matter. Whether I am exhausted, lacking vitality, or even physically sick, you can count on me.” This might sound noble. But, is not the true spirit of Karma Yoga. Ignoring your basic human needs is, in the long-term, a prescription for burnout and chronic sickness. That’s why Karma Yoga is also an act of self-love. Only by embodying love in every cell of your being are you able to unconditionally be in Love with others. Self-care is essential and may be the first step towards selfless service in the world today. What really drives you in service? Honestly. Are you aware of the intention that lies behind your spirit of service? Does the desire to serve come from the need to be there for others so it makes you feel like a better person? Or, does it spring from the idea that volunteering is good because society values it? Or, do you compare yourself to how other people are serving in your community— feeling like you are not good enough or that you need to give more so that you can be as humble as others? Or, do you feel the need to measure up to your teacher’s example? This is not what Karma Yoga is about. The practice of Karma Yoga helps reflect the selfish tendencies that become apparent through your actions. This should not cause worry, as almost every human being has them. “Almost,” as there are a few special people who truly embody Karma Yoga, humility, selflessness, compassion, and unconditional love. People like M.K. Gandhi, Saint Teresa of Calcutta, and Nelson Mandela. Spiritual teachers like Ramana Maharshi, Gautama Buddha, Anandamayi Ma, and other sages who kindle this openness of the Heart in you. We even find genuine expressions of selflessness in our friends, partners, family members, and colleagues. Our interactions with such people are deeply inspiring and transformative. So, rather than punishing or judging yourself, just embrace these tendencies. Let this show you the conditioning that you have been carrying inside for lifetimes. By becoming aware of them you start to no longer believe them or reactivate them. In this way, they release themselves. Look at others as an inspiration and a doorway into this Love, which is a reflection of the Love that calls you from inside. Give up comparing yourself to others. Being a karma yogi is a conscious choice. It is the choice to unconditionally love life, yourself, and others. To no longer hide away from life, but to face it and give the best of yourself in every moment. It is a constant practice of love awareness, goodness, kindness, compassion, courage, and forgiveness. It means being honest and authentic about your human limitations. Through becoming aware of what you think, say, and do, every moment brings you another step closer to truly living with an Open Heart. Selfless service is allowing humility in pure connection with life, from human to human, heart to heart. It is a generosity in which you are naturally nourished by life. You come into a fullness of being, which overflows from your heart. In this way, it is shared with all. Uma Esmeralda is a Hridaya teacher and the Karma Yoga/HR Manager at the Hridaya Yoga Center in Mazunte, Mexico. You can read her post on integrating daily life into spirituality here. Did this article pull on your heartstrings? Are you feeling the call to serve? Then, we invite you to apply for Hridaya Yoga’s 3-month Karma Yoga Immersion, which begins June 21st. It is an opportunity to go deep in Self-Enquiry through the practice of Karma Yoga. Read more here. 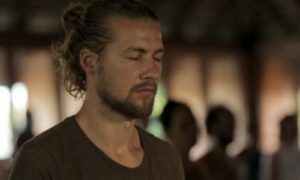 https://hridaya-yoga.com/wp-content/uploads/Karma-Yoga-What-Else.jpg 270 760 ad https://hridaya-yoga.com/wp-content/uploads/Logo-Hridaya-Yoga.png ad2017-05-21 01:05:292019-01-06 18:38:41Karma Yoga, What Else?